K & G Striping, Inc. is the premier Kansas City pavement marking contractor in area. Experienced in Parking Lot Striping, Roadway Markings and Pavement Marking Removal. 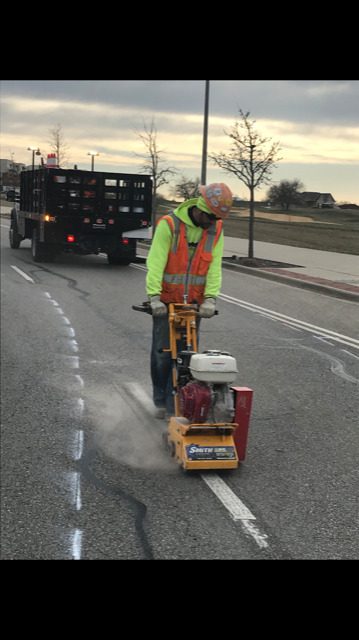 We will install pavement markings materials such as paint, Thermoplastic, Preformed Thermoplastic and Cold Plastic Tape. Please contact us online for quote requests and other general inquires about our pavement marking contractor services. Or free free to call us today at 816-741-3339 to speak with us directly.